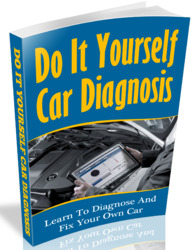 Troubleshooting / fault description for the above faults are explained under PSD diagnosis/Troubleshooting in Repair Manual Vol. 3 (Transmission) (Page D39-223). Faults occurring in the high-pressure hydraulics of the PSD (lock operation) are not stored in the DTC memory of the ABS / PSD control unit. 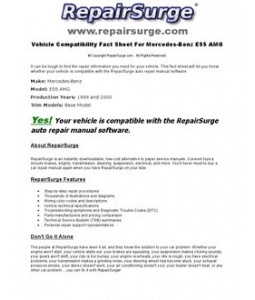 Troubleshooting / fault description is also included in Repair Manual Vol. 3 (Page D39-247). 4. Remove wheel house cover. 1. Turn off ignition and disconnect battery ground wire on body. 2. Remove left intake hose on air cleaner, loosen power steering supply tank on bracket (hoses remain connected), pull off ignition leads on ignition coil and take off left front wheel. 3. 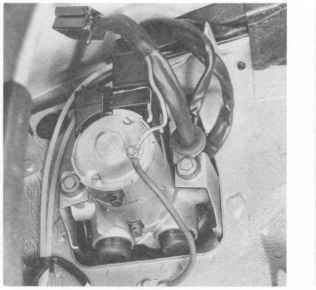 Disconnect brake lines as well as brake pressure regulator (no. 4 — 9) on hydraulic unit. This is done by uncliping brake lines in holders on wheel housing (locks are opened from above). 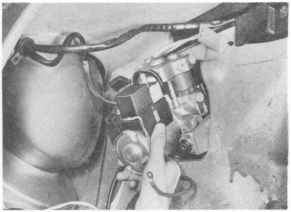 Insert plugs in open brake lines and connections immediately (danger of dirt entering system). If plugs are not available for brake lines, first drain tank and cover lines. 6. Unscrew cable release and take off 12-pin plug (no, 3). 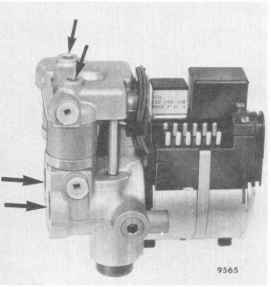 Both relays for pump motor (2) or solenoid valves (1) can be replaced (see page 45-6). Never loosen or tighten bolts marked with arrows. 7. Disconnect ground wire on pump motor and loosen two mounting bolts. 8. Loosen mounting bolt as well as bracket for hydraulic unit. Run out hydraulic unit (see installation points 1+2). 1. Tilt down hydraulic unit bracket on wheel side. 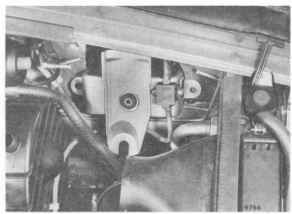 2, Move hydraulic unit into bracket from wheel side and install two mounting bolts (position of console as described in point 1). 4. Finish installation of hydraulic unit on bracket. Tighten three mounting bolts. 5. Mount brake pressure regulator and brake lines on hydraulic unit in correct position. If applicable, hold brake lines in brackets on wheel housing wall with clips and engage locks. Make sure brake lines are routed correctly. 6. Connect 12-pin plug and secure cable release. Mount cover on hydraulic unit. 7. Mount wire harness on hydraulic unit bracket (loosen right bolt again). Connect ground wire on pump motor. 8. 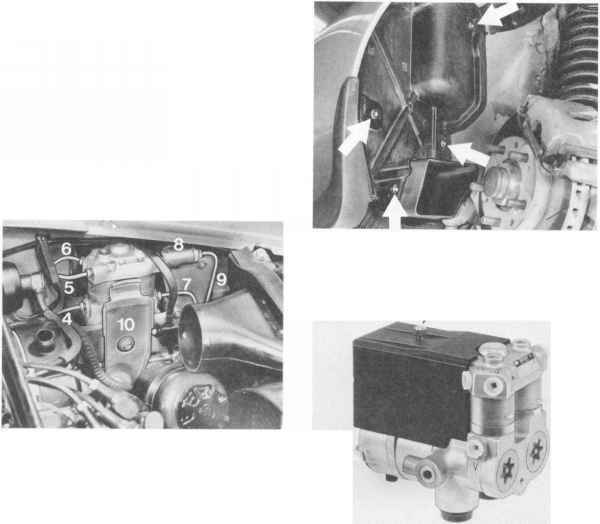 Bleed brakes in order of stepped brake master cylinder, push rod brake circuit (front wheels) and intermediate piston circuit (rear wheels) and check for leaks. Bleeding procedures are same as for cars without ABS. 9. Mount wheel house cover, front wheel, power steering supply tank, ignition leads on ignition coil and intake hose. Connect battery ground wire. 10. 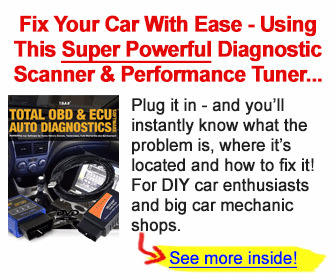 Check operation with an ABS tester. 3. Mount hydraulic unit bracket on wheel housing wall (three self-locking nuts). 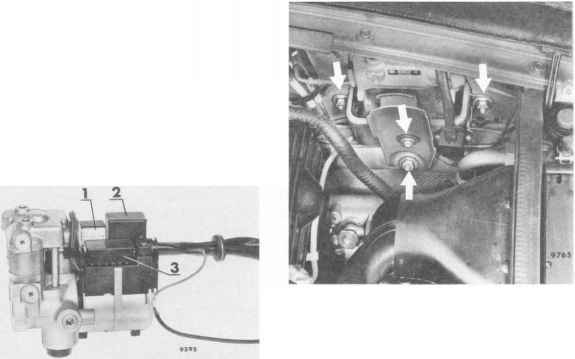 In left-hand drive cars, the electronic control unit is mounted on the driver's side above the hood-release handle on the side panel. 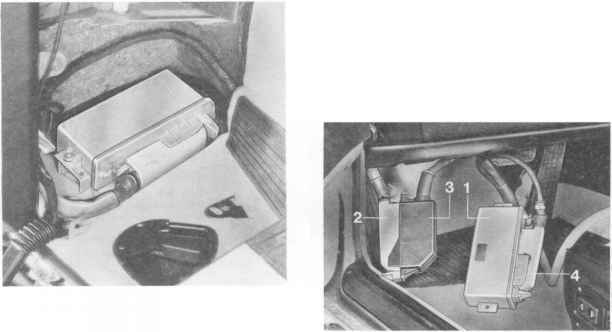 In right-hand drive cars, the control unit is located above the central electrics unit. Always switch the ignition off before disconnecting the multi-pin plug from the control unit or removing the control unit. l.Move seat to rearmost position and raise steering wheel (to facilitate work). 2.Open retaining spring (clamp) and disconnect plug from electronic control unit. 1.Mount electronic control unit on holder. 2.Connect ABS tester with plug of electronic control unit connected to plug of tester. Push plug of tester onto electronic control unit, the retaining spring must engage with an audible click. 3.Unscrew mounting nuts and remove electronic control unit from holder. * Control unit modified as of model year 86. Ensure correct unit is installed when replacing (see page 54 - 01).